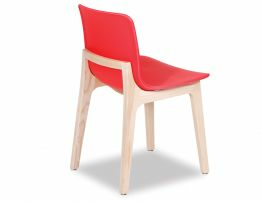 The Ara Chair in red is a great fit in your commercial dining room or an ideal pairing in your fast-paced family kitchen. 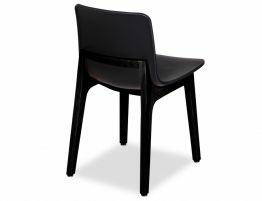 With a heavy duty plastic moulded red seat resting upon the solid ash wood frame, Ara chair is made to withstand whatever you have for it. 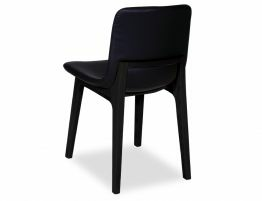 Comfort is a feature that will not disappoint. 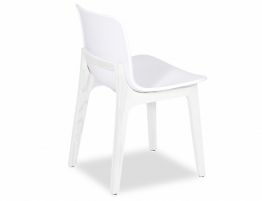 with a form reminiscent of Jasper Morrison’s HAL chair with true quality construction, and premium materials you will want to stay seated. 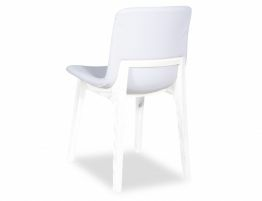 Add a conversation piece with this statement chair to you eat-in kitchen or contemporary dining area.